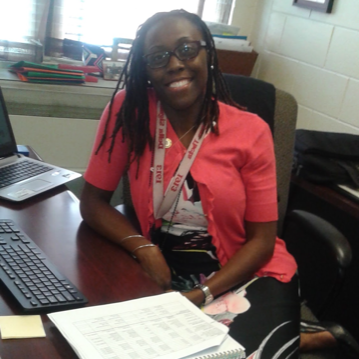 Latrese D. Younger has over ten years of teaching experience across three different districts, as an English Language Arts and SAT Prep-Verbal teacher for grades 6-12. She possesses a Bachelors of Arts in English Education from Virginia State University and a Masters of Educational Leadership with a concentration in Technology Education from Strayer University. Throughout her tenure with Dinwiddie County, Henrico County, and Richmond City Public Schools in Virginia, she has received numerous awards and accolades such as Star Teacher of the Year, Teacher of the Month, and a Learning Leader recipient award. She has also been privileged to serve in several leadership capacities such as Effective School Wide Discipline Incentive Coordinator, School Newsletter Advisor, Teacher Appreciation Committee Chair, Mentorship Director, Administrative Intern, District-Wide Professional Development Presenter, In-Service PD Coach, Cooperating Teacher of a Practicum Student, District Representative at a fall Virginia Department of Education- ELA conference, and ELA curriculum writing partner for two districts. In 2016, Mrs. Younger served as Director of Achievement in Literacy with Catapult Learning, Inc. She also served as an Instruction Assessment and Data Analysis Specialist with Richmond City Public Schools. She was promoted to Assistant Principal in 2017 at Elkhardt-Thompson Middle School. Mrs. Younger will serve the students of Culpeper Middle as an AP in the fall of 2018. She believes that the perfect recipe for teachers is an ample supply of empathy, resolve, content knowledge, and passion for students. Her work is driven by the virtuous quote: “Intelligence, plus character…that is the goal of true education”- Rev. Dr. Martin Luther King, Jr.